Maharashtra govt. has set a target to complete 19.40 lakh houses under the Pradhan Mantri Awas Yojana by the end of FY 2022. For this purpose, the state govt. 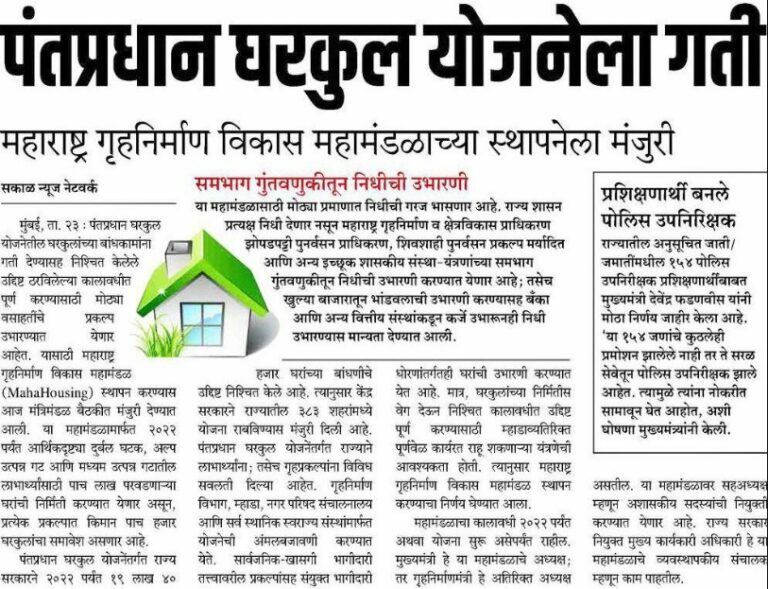 has decided to form Maharashtra Housing Development Corporation (Maha-Housing) to speed up housing projects under PMAY. 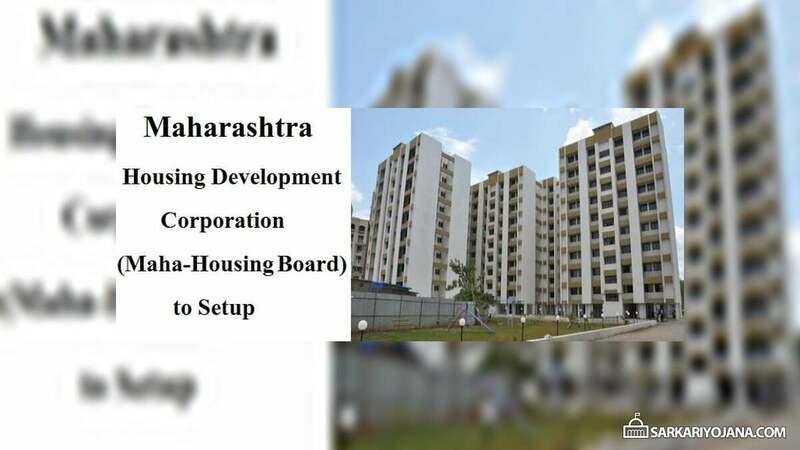 This state housing board will work along with the Maharashtra Housing and Area Development Authority (MHADA) and Slum Rehabilitation Authority (SRA). Through Maharashtra Housing Development Corporation, the state govt. aims to construct 5 lakh affordable houses for the economically backward classes and low and medium income group beneficiaries. The project will be implemented through public-private partnership as well as a joint venture scheme. However to meet the deadlines of affordable housing projects, there is need to form a separate agency other than MHADA and that is why the decision to form MahaHosuing board was taken. The cabinet meeting chaired by CM Devendra Fadnavis on 23 October 2018 gave its nod to form Maharashtra Housing Development Corporation (MahaHousing) to speed up the implementation of PMAY. The corporation will boost PM housing scheme and will speed up the implementation of 5 lakh mega housing projects in order to meet the deadlines. Chief Minister would be the president (chairman) and housing minister would be the additional president (vice-chairman) of Maharashtra Housing Board. Secretary of urban development department, vice president of MHADA, chief executive officer of SRA and chairman of Nagpur Improvement Trust would be members of board of directors. Maharashtra Housing Board will be provided capital as financial grants by the MHADA, SRA and CIDCO housing corporations. Under this scheme, developer / promoters will avail the floor space index of 2 and 1 FSI for green zone. This scheme is going to be implemented in 383 cities around the state. Maha-Housing board would construct affordable houses for people belonging to economically weaker sections and poor sections of the society. Most of the urban housing projects will be undertaken as a part of the public private partnership and joint venture and are to be completed in a time bound manner. The term of the corporation will be till the end of FY 2022 or till the time, the target of PMAY housing scheme is achieved. The corporation is also allowed to raise funds from banks and through investment from other agencies i.e from open market.